Next club meeting will be Monday, April 15th @ 7:00 PM at Tony's Pizza in Pittston. Come sign up for the 2019 season, should be another great one with great lakes! Hope to see everyone in attendance. Thank you! Attached the 2019 membership form here. 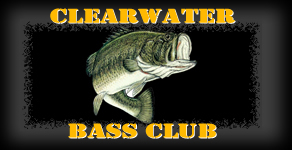 Attached is the Membership Form to join Clearwater Bass Club. You must be logged in to access the form. You can print it and bring it to a meeting with your dues or mail to the address with your yearly dues. Membership dues must be paid by June 30th. Yearly dues have been change to $50.00 per member. 9 Tournaments will be required to qualify for the Classic. Let's get together to finalize the 2019 schedule and discuss other topics. The Club will buy pizza and wings for everyone as an end of season party. Agenda to follow. o This year’s Classic will be held on Keuka Lake, NY. o The Sunday (Day2) launch site will be determined and announced Saturday at weigh in. Next up on the Clearwater Bass Schedule are Skaneateles and Owasco lakes. These are the last two lakes on the schedule and last opportunity for three teams that can still qualify for the Classic. Even if you can't qualify, come out and don't miss out on these awesome lakes! We will be launching on both days approximately 6:30 AM. Skaneateles on Saturday 9/29 from the state launch on the northwest side of the lake. Owasco on Sunday 9/30 from Emerson Park on the northeast end of the lake. Tournament fees and launch fees will be collected on site. Good luck to everyone hope to see you there.